Arts and cultural activities are key sources of producing economic flows, income and employment. Culture is a unique arena for government intervention, not only due to public nature of cultural products, but also because of its potential for transforming ‘places’; and it, therefore, shapes strategies for local and/or regional development. Office of Economic Development (OED) agrees with cultural economists on art and culture’s transformative power and also the productivity of cultural activities and events in terms of host communities’ economic prosperity. In its previous projects (e.g. Crooked Road 2015: Economic Impact, Economic Impact Analysis of Harvester 2017), OED has adopted the input-output analysis in order to estimate the total dollars, jobs, and household income generated in an economy due to a new activity/intervention (e.g. 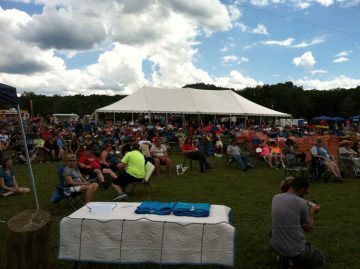 a music festival in South West Virginia). The key question to ask is what new money will come into the economy due to this new activity? The term inter-industry analysis is also used instead of input-output analysis, since the fundamental purpose of the input–output framework is to analyze the interdependence of industries in an economy (Miller & Blair, 2009). While sometimes the region is defined by the decision-maker or stakeholders commissioning the study, there are times that we have to delineate the boundaries in which we plan to analyze the economic impact. Factors such as economic leakages (diversion of funds in form of non-consumption uses of income, including saving, taxes, and imports) play important role in determining the overall economic impact. Who do you include in the analysis? For example, is the money locals spend considered as new money or not? How operational spending is accounted for? What industries are impacted directly? In the above mentioned projects, OED has adopted different methods of data collection such as visitors’ (locals and nonlocal tourists) surveys, stakeholders (e.g. business owners) and experts’ interviews, financial data about sales (e.g. number of sold tickets for a music festival), wages, operational costs. As noted before, OED uses the popular input-output (I/O) methodology. I/O can be applied to local economies and therefore is useful when it comes to estimating the total economic impact of a cultural event in one or more counties. It calculates the transactions within the economy (sales and purchases by different sectors) and models the direct, indirect, and induced effects. This is an important step as there could be political considerations and multiplicity of voices among different stakeholder groups. Recommendation and policy implications have to clear and understandable for all the interlocutors. If a cultural event is a generator of economic prosperity how do we grow impact horizontally and vertically? The real work of Economic Development. Smith, A. (2017). The Wealth of Nations. CreateSpace Independent Publishing Platform.